South Africa's most innovative consumer products have been recognised in the 11th annual Product of the Year awards. Conducted by Nielsen, Product of the Year is South Africa's largest independent consumer-voted survey focused specifically on product innovation. 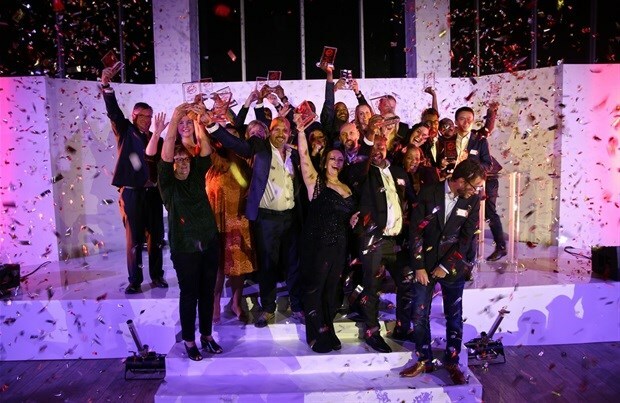 After trying and testing a range of products, 4,000 consumer households were surveyed, with the standout brands across the 16 categories awarded at a gala event, held at Hyde Park on Thursday. “Based on the research Nielsen conducted in 2018 and early 2019, the local market benefited from product innovations across a number of categories, including food, DIY, healthcare and home cleaning,” says Preetesh Sewraj, CEO and chief innovation analyst at Product of the Year South Africa. A new efficacy category was also introduced in 2018 to recognise brands that improve consumers' home, surroundings or lifestyles. “We continue to broaden the scope of our third-party endorsement programme to celebrate and reward brand innovation and boost awareness. This platform, therefore, guides consumers, helping them to find the best new products and services that can positively impact on their lifestyles and their pockets by delivering greater value for money,” adds Sewraj. Unfortunately, the reality of the country's economic situation subsequently set in as the financial pressure on consumers mounted due to rising living costs and increased taxation. “As a result, consumer sentiment turned, which is a major driver of spending. In response, many brands chose to scale down their innovation pipelines to offset dwindling sales and rising input and production costs,” Sewraj says. "There were, however, several brands that used the opportunity to introduce new innovations in their quest to attract new business amid tougher market conditions," he adds.